From my reading about brains and minds, I have become convinced that we can compensate for many weaknesses in our own brains by deliberately stimulating the weak part of the brain. For most of us, that is not a big deal until we start to notice that our brains are aging. Then it gets important pretty quickly. If you have any doubt about how much control you have over keeping your brain firing on all cylinders well into your 90’s, please read on. We have Learning Disabilities in our family, so The Woman Who Changed Her Brain: How I Left My Learning Disability Behind and Other Stories of Cognitive Transformation by Barbara Arrowsmith-Young gave me hope. Barbara’s book explains how she developed a brilliant auditory and visual memory in her struggle to compensate for several severe learning disabilities. By sheer dogged persistence, she graduated from high school, then university. Later she was accepted for graduate studies at the Ontario Institute for Studies in Education, and here her struggles continued. To understand a research paper, she often had to read it twenty times. Everything involving reading, writing, and thinking took persistent repetition before she could derive any sense from it. In fact, she did not learn to tell time from clocks until she discovered just how to remediate her many deficits. Barbara had tried the typical treatments for Learning Disabilities which involved ‘compensation’. People who had difficulty reading were told to listen to audio tapes of the information. Those who were ‘slow’ writing, were given extra time in exams or were allowed to take exams orally. If they had trouble following an argument, they were taught to colour-code the key points. The problem with these compensation techniques, is that the person using them could get through certain academic challenges, but their deficits in reading, writing, or doing math did not change. In fact, Barbara’s Master’s degree thesis on the results of her study of children with learning disabilities being treated with compensations at the OISE clinic showed that most were not really improving. One day, a friend urged her to read some books by Aleksandr Luria, a Russian neurophysiologist who studied people with brain injuries. She read about Zazetsky, a soldier who had been wounded at the juncture of his parietal and occipital lobes and had trouble with grammar, logic, and reading clocks – just like Barbara did. She then knew that she had deficits in a particular area of her brain, but she had no idea what to do about it. At age 28 and still in graduate school, but getting more and more exhausted and depressed, she read a paper by Professor Mark Rosenzweig who had studied rats in stimulating and non-stimulating environments. He found that the rats in the stimulating environments had heavier brains, with more blood supply and more neurotransmitters than those in non-stimulating environments. He was one of the first scientists to show brain neuroplasticity, the possibility that stimulating certain nerve cells in the brain could lead to changes in the wiring of the brain. Barbara designed a series of exercises for herself to stimulate her weakest function – the ability to relate symbols. One exercise involved reading hundreds of cards showing clock faces with different times on the front and the correct time on the back. The clock faces started out showing simple times with just two hands, and advanced to having second hands and even sixtieths-of-a-second hands. After weeks of daily drilling, she could not only read clocks faster than average, but she was able to grasp grammar, math, and logic. Gradually, she developed and drilled on other weaknesses for her spatial, kinesthetic, and visual disabilities, and brought them up to average level. She then started designing exercises for children and adults who had various learning disabilities. Barbara’s Arrowsmith School in Toronto has been running for thirty years and has helped thousands of children and adults strengthen the various weaknesses in their brains. After months, sometimes two or three years, of daily drilling under the direction of teachers trained by Barbara, these children and adults can return successfully to standard school or university programs. Over the years, Barbara and her team have developed exercises for the nineteen brain areas most commonly weakened in people with learning disabilities. There are now Arrowsmith programs in 35 schools across Canada and around the world. To learn more about these schools, please visit arrowsmithschool.org. If you don’t want to take the time to read her book, then check into her website (barbaraarrowsmithyoung.com) and click on Articles, where there are many, many articles you will find very interesting. 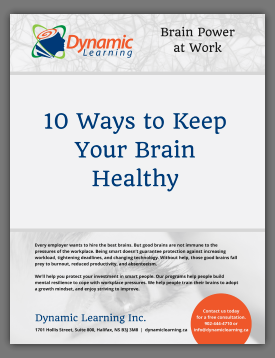 If you really want to understand the detail behind her breakthrough ability to help so many people with learning disabilities, read the article there called Building a Better Brain (.pdf) by Norman Doidge, MD.